Located 8 miles north of Tilamook near Garibaldi on the Miami River, an ideal location for family reunions, small group meetings, seminars, and receptions (catering arranged). Go fly fishing on our property, crabbing, clamming or we'll book you on a charter boat. Sit on the deck and watch heron and deer in the meadow. Hike our river and forest trails. Shop antique stores and outlet malls. The beach is moments away. Kayak and canoe rental available, for enjoyment on the Miami River, Tillamook Bay and other local rivers. Children over five welcome. Handicap accessible. Four guest rooms, 1 with private bath, 3 with shared bath. Rates $75-$110. We accept Visa, MasterCard, American Express, and Discover. 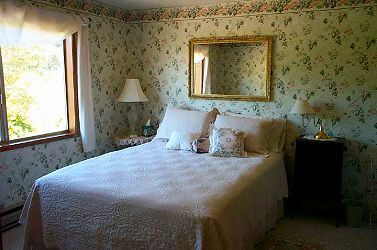 You can make your reservation on line or call our Inn.